Tips for Selling Your Home for Top Dollar! 1. Choose the right home price! Every seller wants to make as much money as possible when they sell their home. But a listing price that is too high often turns off potential buyers, and then it can sit on the market longer. If your house is not priced competitively, people looking in your price range may never consider it. Overpricing a home usually increases time on the market, and that adds to your monthly upkeep costs. It really does help to stage your home. You will want to make the needed repairs, paint in necessary, do a deep clean, and keep up with landscaping.You also want to make sure that you get rid of the clutter. Don't display too many items and clear out the walkways and hallways. Be sure to open the blinds, turn on the ceiling fans, or add plug ins to make the home smell nice. Put up pet food bowls and make the beds. Put up dirty clothes and put things away. A bright, clean home sells faster! 3. Plan to be away form the home while it is being shown. It’s difficult for potential buyers to see themselves in your home if the owner is there following them around. It makes people nervous. Plan to go on a walk or go to the store when potential buyers are there. The agent will be guiding them through the home. 4. Choose a Great Real Estate Agent! Interview several agents. Compare them in experience and marketing plan. Check their reviews, their testimonials, and housing sales. Make sure that they sell in the area that you want to move to. Pick an agent that sells real estate full time. You home sale will depend on a qualified realtor. 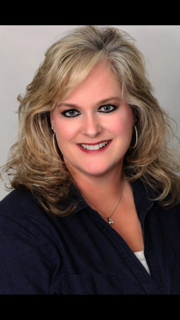 If you are looking for an agent to sell your home, call Sarah Terrell!